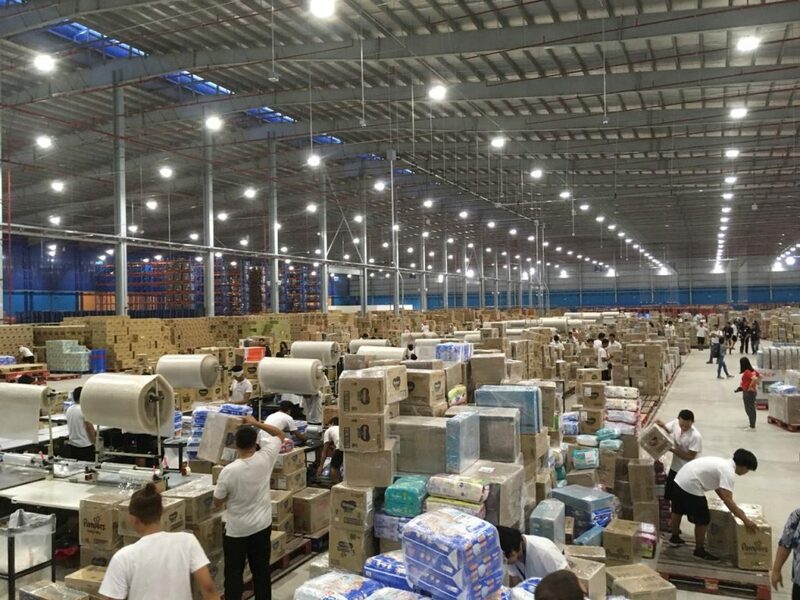 An online shopping giant recently wrapped up a much-anticipated sale tied to Nov. 11 or 11/11 where most of the products on their site were marked down for one day only. As expected, bargain-loving Filipinos took the bait, and who wouldn’t have given its overt advertising on social media and on television leading up to the date? I, too, admittedly was swayed by the promo. Days before 11/11, I was browsing through the brand’s app, looking for cheapish things I can get that I sort of need. I ended up getting two things: a charging cable and a yoga mat. As of this writing, only the yoga mat has arrived, wrapped in layers and layers of bubble wrap. 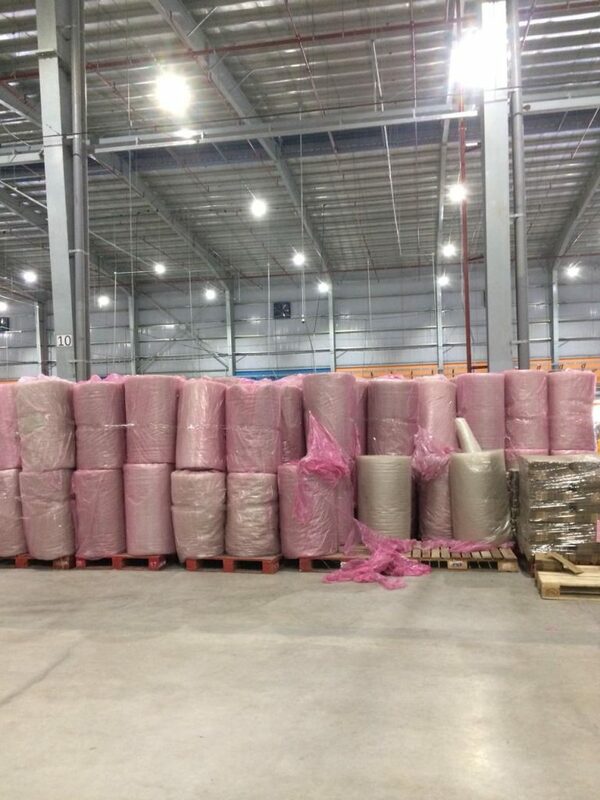 A look inside an online shopping platform’s warehouse where items are packaged in layers of bubble wrap prior to shipment. And I was not the only one in our office who apparently took advantage of the sale. Receiving my package one morning, as I walked towards the delivery man, I noticed that he had with him a couple more items to be shipped to someone in our office: all wrapped up in plastic, if you are lucky it’s a box taped shut. One of my co-worker’s order was a cat wand, a stick a little over two feet. It arrived hours after my delivery. To her surprise, it was wrapped in a plastic the size of a Mac monitor, with the wand occupying merely a sixteenth of the whole thing. Why the excessive plastic packaging, really? Well, one reason that comes to mind is for the package’s safety, thus the layers of bubble wrap. Some items are fragile, understood. But a yoga mat—a foam yoga mat? I don’t think that warranted layers upon layers of bubble wrap, or any bubble wrap, for that matter. Another problem might be that packaging comes in predetermined sizes based on standard measures: S, M, L, XL and so on. Ever had to ship a package yourself where you had to go to the nearest courier? You’ll be asked what size you want your item to be stored in. Other times, when the courier runs out of a specific size, they move a size up, which is probably why my co-worker’s wand ended up in packaging bag at least 10 times its size. 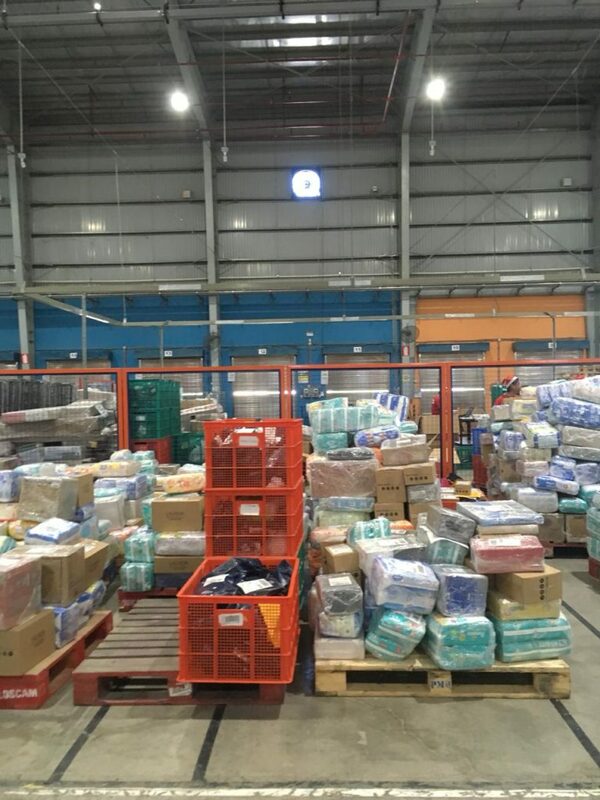 A recent visit to the warehouse where the goods from an online shop where packaged and stored prior to delivery, sheds light to this growing problem that the companies themselves seem to be ignoring. 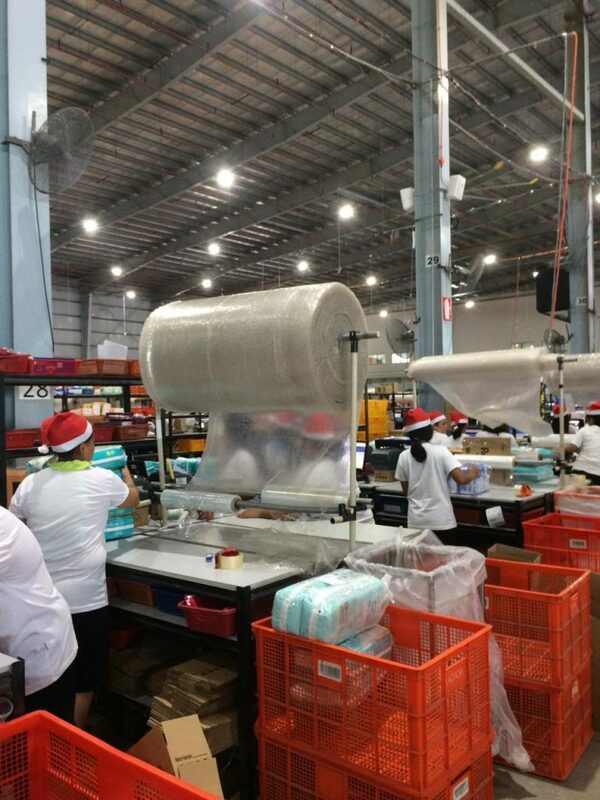 Amid aisles of electronics and other consumer goods, there’s a station in the warehouse where the packages are sealed in cling wrap and bubble wrap which are suspended in rolls over the counters. During the tour, we asked one of the staff whether there are efforts to find an alternative to plastic packaging. They simply ignored the question. 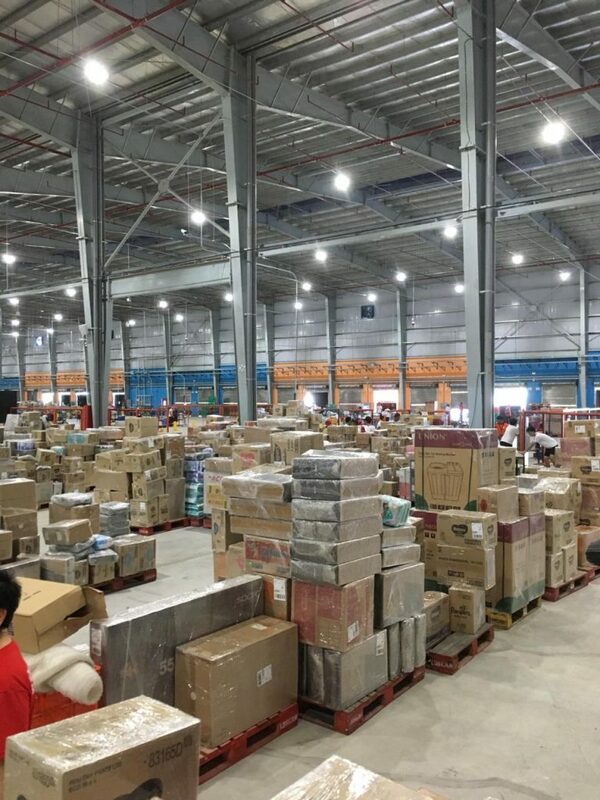 Some of the electronics sold during the 11/11 promo awaiting shipment. Ordering up through online shopping platforms offer little to no alternatives to plastic. Neither are shoppers given the choice to opt out of plastic packaging. There isn’t an option or a button to click which will eliminate the need for plastic packaging. So we’re basically left with no choice but to dispose of it ourselves. In my case, that means disassembling the bubble wrap, playing with it until all the bubbles are individually popped, and then hoping that after throwing it in the trash there is a facility that will eventually take care of it. Unless changes on the end of these online shopping companies are implemented, the least we can do is slow down on our consumption habits and reconsider other options for shopping. There are independent small-scale online shops that give customers a choice to provide their own packaging and transport it through motorcycle riders—a faster way to deliver which also eliminates the need for additional security and safety measures for the package while traveling.